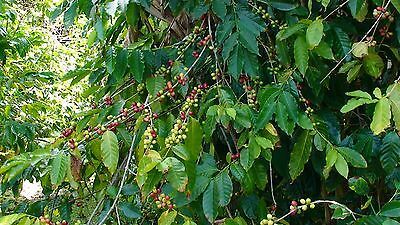 Coffee Bean Plant Seeds ★ Brazilian Peaberry Grow your own coffee beans at home! This shrubby house plant grows to 32 feet high outside. Can be trimmed to desired height indoors.